Rather than go through the whole card in petty detail, I’m just going to talk about the fights that stand out from the supporting card. Yes, the image above might be a hint as to which fighter we’re most rooting for but forgive us if there is still a real novelty in having a Scot fighting in the UFC. Firstly, the ever entertaining and FOTN award hogging Diego Sanchez (24-6) looks to rebound from his (lucrative) loss to Gilbert Melendez when he faces the undefeated Myles Jury (13-0) in what should be a fun contest between two talented fighters who are both looking to break into the top ten of the division. Jury is well rounded and has shown an ability to grind out wins, or land submissions or KOs when the opportunity presents itself, while Sanchez is all about the heedless assault, overwhelming opponents with sheer volume of strikes, his capacity to take damage and limitless cardio. Whether the old lion takes a step back towards the top or the young pretender adds another scalp to his belt, only time will tell. Next we have the miniature female version of Wanderlei Silva, Jessica Andrade (10-3) looking to capitalise on her beating of Rosi Sextion (I don’t like that truth, but it’s true) when she faces the similarly entertaining Raquel Pennington (4-3) who earned a decision win over Roxanne Modafferi at the Ultimate Fighter 18 finale to break a 0-2 skid. While neither girl will be troubling the top of the bantamweight division in the immediate future, this is all but guaranteed to be a hell of a scrap and should be loads of fun to watch. Fresh off his Fight of the Night win over Steven Siler, Dennis Bermudez (12-3) boasts a 5-0 streak in the UFC since losing to Diego Brandao in the TUF 14 finale and will be looking to continue that against accomplished judoka Jim Hettes (11-1). Bermudez may be the favourite but I can’t help noticing that all his losses have come via submission, which is very much Hettes’ ‘A’ game. This should be a lot of fun. 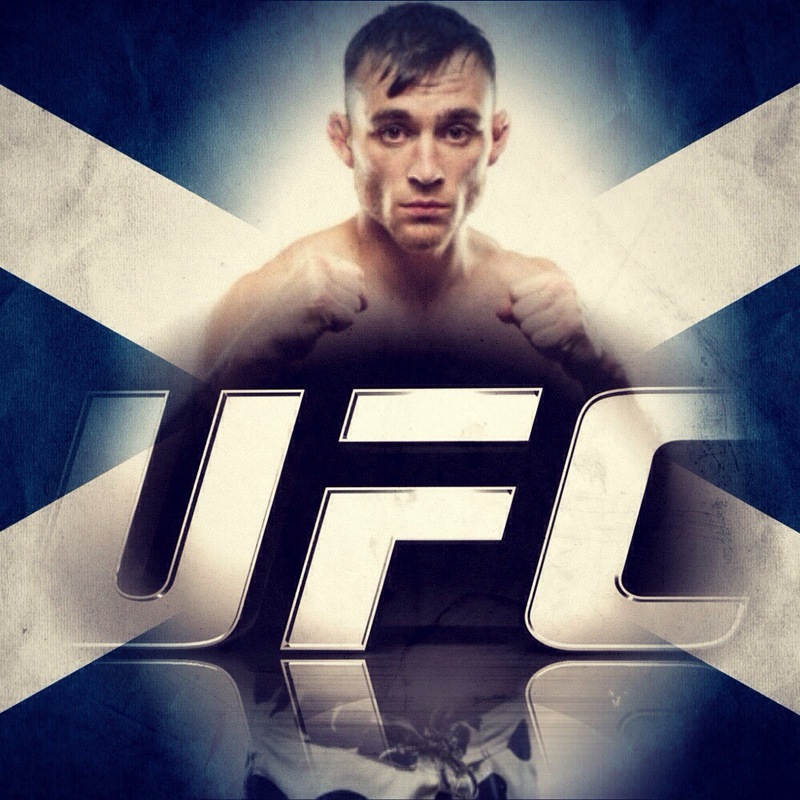 Last but by no means least… in fact, seemingly opening the broadcast we have Scotland’s own Robert Whiteford (10-2) making his sophomore UFC appearance, and debut on US soil against the more experienced Daniel Pineda (18-10). The stakes are high for both men, as Pineda is on a 1-3 slide while Whiteford lost his short-notice UFC debut to Jim Hettes, so both men’s roster positions could be at stake. It might be patriotism speaking, but I fancy Whiteford to win this one, with a full camp behind him and training with ATT’s Mike Brown who beat Pineda back in 2012, he should put in a much better show than he did in Manchester. … but we are very much in Rab’s corner for this one. Well, unless you’ve been living under a rock you’ll know that the UFC held its first ever Women’s bout on Saturday, which is quite mind blowing and era defining enough news for one week. I’m still a tad blown away by the significance of this event and how awesomely it all went down. With a clutch of female fighters tied into contracts, including Julie Kedzie, Amanda Nunes and Sarah Kaufman and a successful pay over view with expansive and positive media coverage in the can, the girls look here to stay. 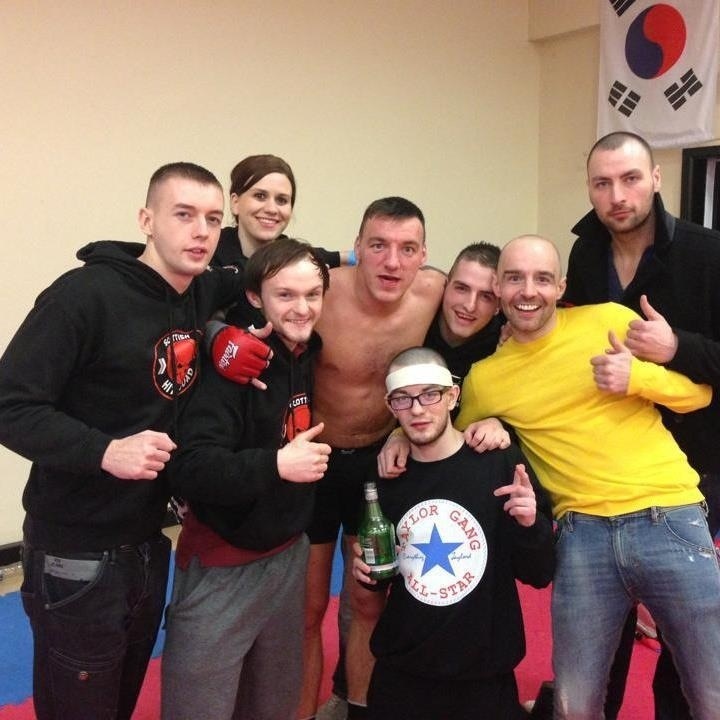 We’d like to make a wee shout out to our buddies at the Scottish Hit Squad, who earned a win and a draw at Total Combat 52 in County Durham on Saturday night. Congrats to Chris Bungard who earned a SUB1 win over Paul Edmondson via triangle choke and Andy Cameron who went to a draw with Aden Lynn both in semi pro action. 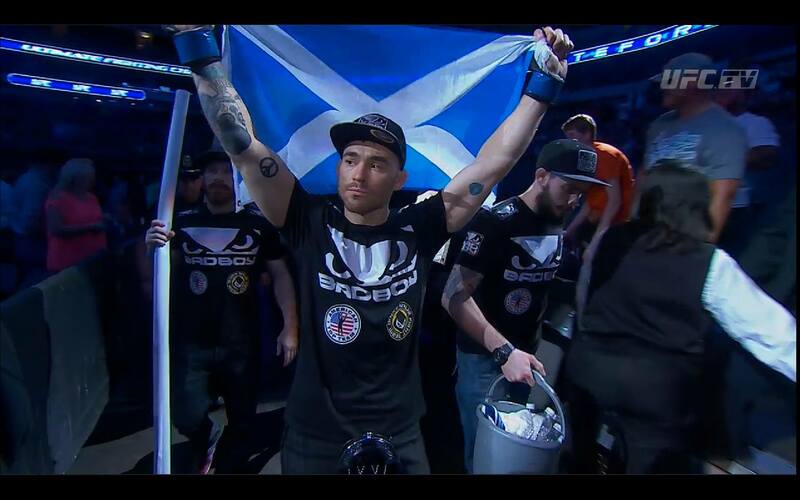 We’d also like to take this opportunity to restate our dedication to promoting Scottish MMA. 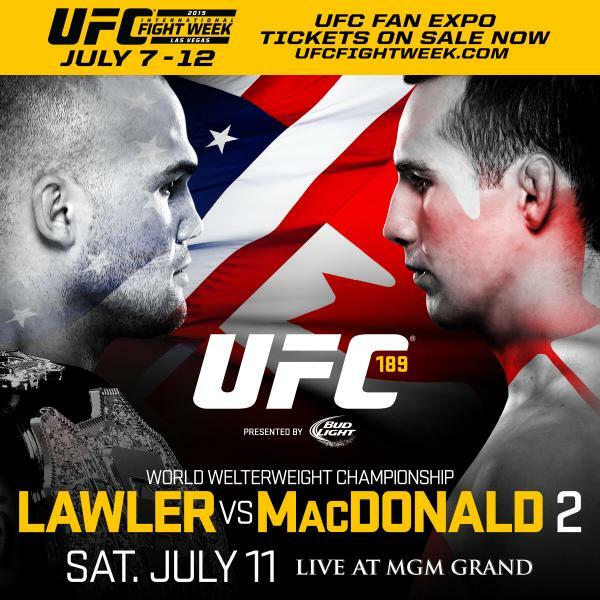 It may seem at times like we are a UFC blog, but when the biggest promotion in the world are offering up near weekly events, regular title matches and persisting in doing comment worthy things like asking the ladies to the big dance and cutting dozens of fighters, then we feel its incumbent on us to cover that. We will have full coverage of all major happenings in British MMA – especially the upcoming live head to head between Cage Warriors and BAMMA on March 9th, but given that there is only a few of us and were doing this in our spare time, it’s hard to cover every regional card, much as we’d love to. We reason that MMA is still very much an underexposed sport and most folks are only aware of/interested in the UFC. If our UFC articles draw folks to the site who then learn about Cage Warriors or Vision or On Top, who pick up on Joanne Calderwood or Graham Turner etc. then we consider it a job done. We’re here to promote the sport as a whole, and that means talking about the big show. We’ll also scream the merits of smaller shows as loud as we can in the hope that someone pays attention. One more person checking out Cage Warriors, trying out jiujitsu or realising that Alex Reid isn’t in fact the UK’s #1 mixed martial artist makes every word we’ve ever written worthwhile. We covered the Bellator results on Friday morning and we’ll continue to do that from here on in, because posting results four days after the fact is a bit silly. The girls headlined, Liz Carmouche gave Ronda her biggest scare to date but in the end succumbed to the armbar with seconds remaining in the first round. The golden girl has her first UFC win, the match was fun and Liz Carmouche is now the #2 star in WMMA. Job done. Elsewhere, Urijah Faber showed his quality and apparently simian nature by clambering all over Ivan Menjivar en route to a standing rear naked choke submission while Robbie Lawler made himself my new favourite person by knocking out Josh Koscheck. Some say the finish was early, but Kos was taking a lot of shots and looking set to take more. Just cause he wasn’t sparko when the ref stopped the fight, doesn’t make it early. The prelims saw an AWESOME WAR (capitalisation justified) between Dennis Bermudez and Matt Grice which could have gone either way, but Beemudez took on a split decision. We also saw impressive submission wins for Michael Chiesa and Kenny Robertson that lit up my inner fan of incisive grappling. We’re going to start shouting out to our favourite happenings of the past week, so those who didn’t catch all the action can go find it on YouTube or your streaming site of choice. Fight of the week – Matt Grice vs. Dennis Bermudez – early fight of the year contender, could have been ended several times, both guys showed immense skill and heart. Check it out. Sub of the Week – Kenny Robertson’s innovative Kneebar on Brock Jardine. Bendy. KO of the week – Emanuele Newton’s Spinning Back Fist finish of Muhammed Lawal at Bellator 91 for being a sick highlight and sheer upset value. Image of the Week – Ronda Rousey stretching Liz Carmouche’s arm to get the tapout and retain the UFC belt. Look at the stress on Liz’s tendons! 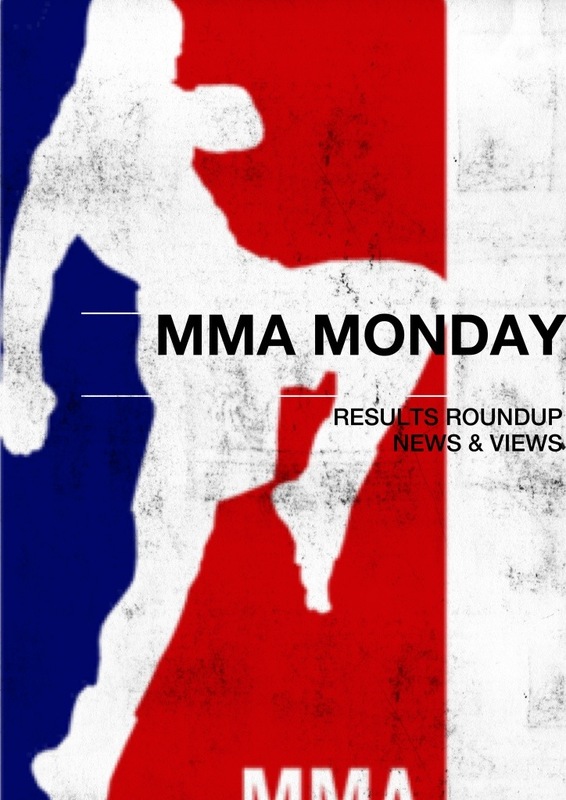 As ever, we’ve got previews of the week’s UFC and Bellator cards, we’re looking to start our build up to the week after’s double header of UKMMA events from BAMMA and Cage Warriors and I’ve got a few things to say about roster cuts and prejudice in MMA. It’d be awfully nice if you’d stop back and check some of that out.